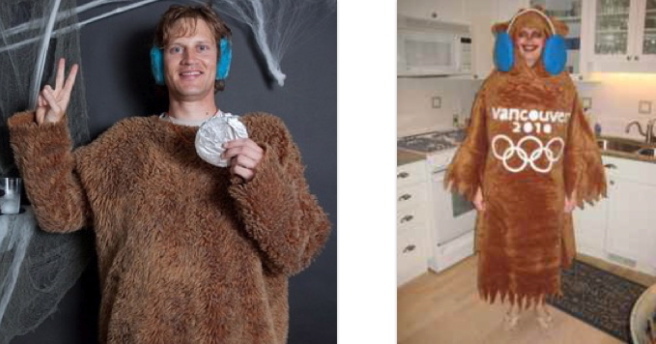 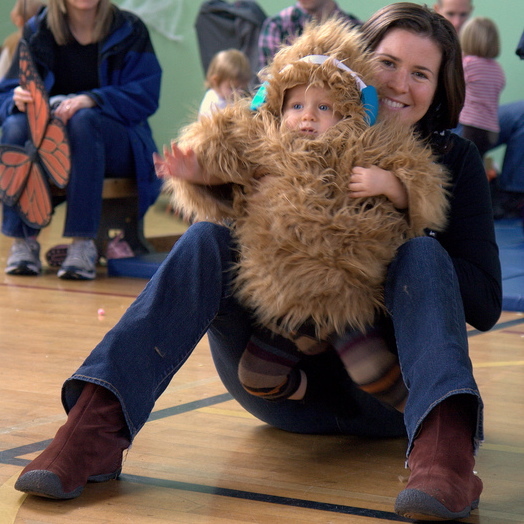 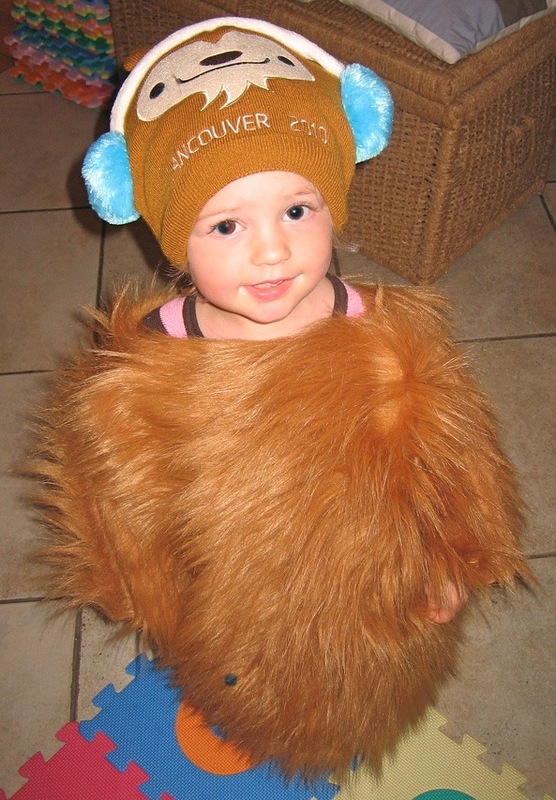 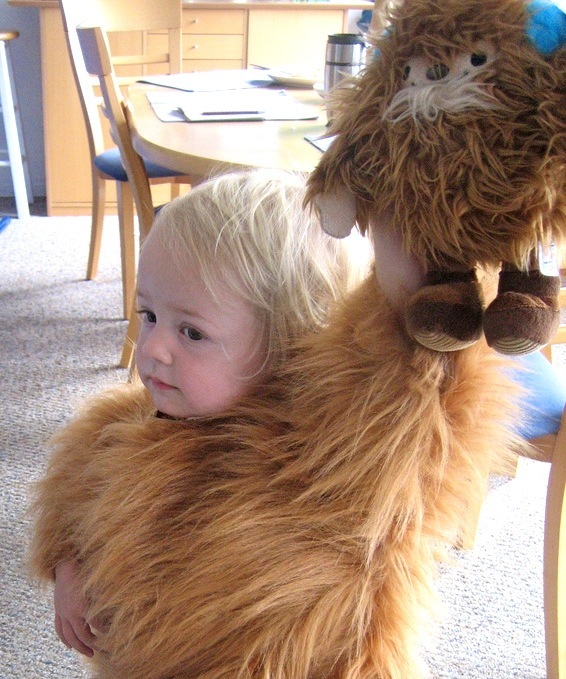 Time to start working on your Quatchi costume, like the ones modeled by Immy (top), Imogen (middle), and this kid (right). 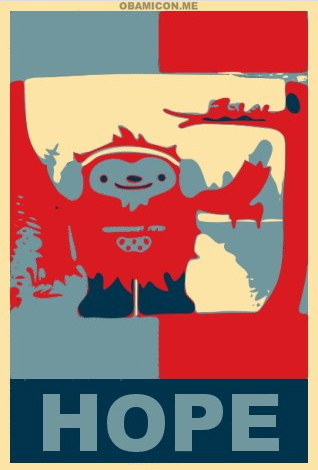 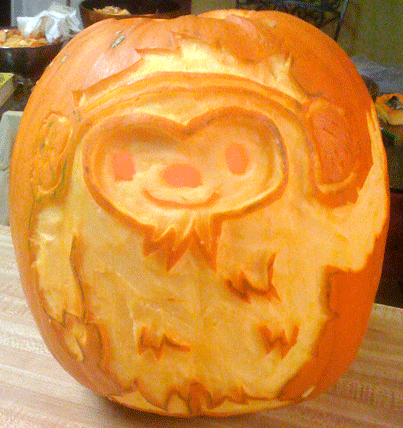 More here and here, and of course, The Quatchi Kid. 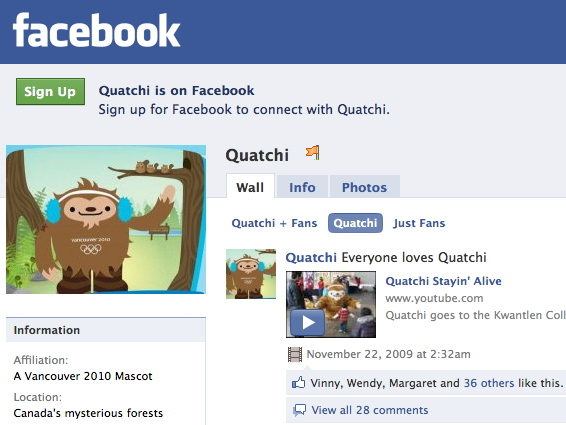 There are currently 48 profiles with the name “Quatchi” in them, but there’s only one official Quatchi Facebook profile. 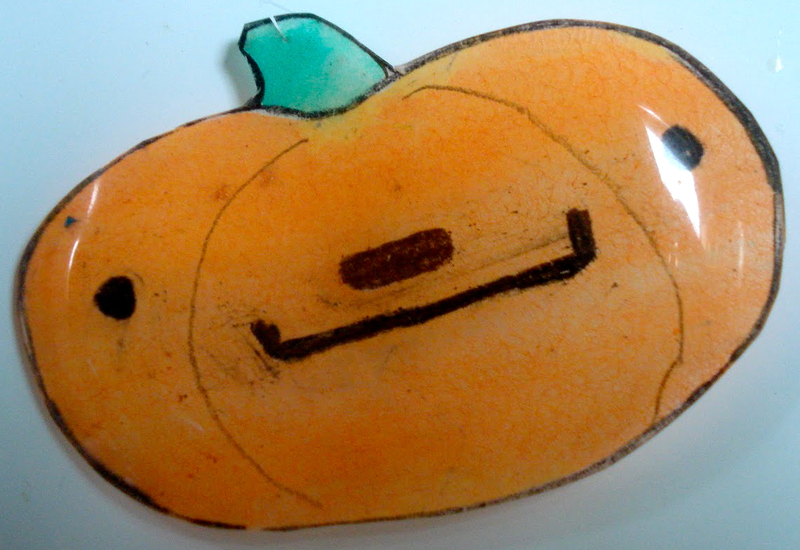 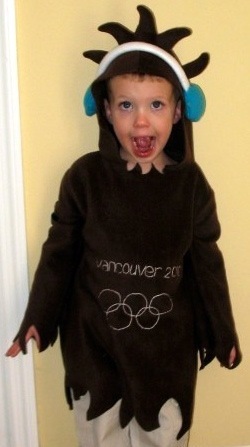 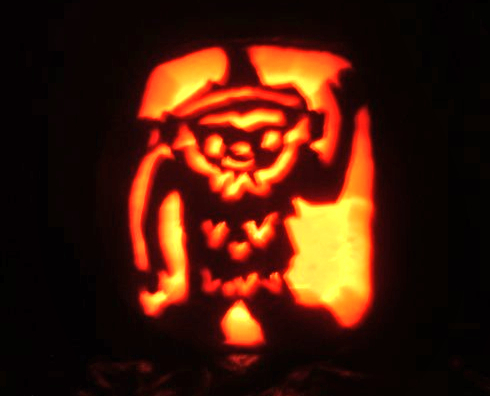 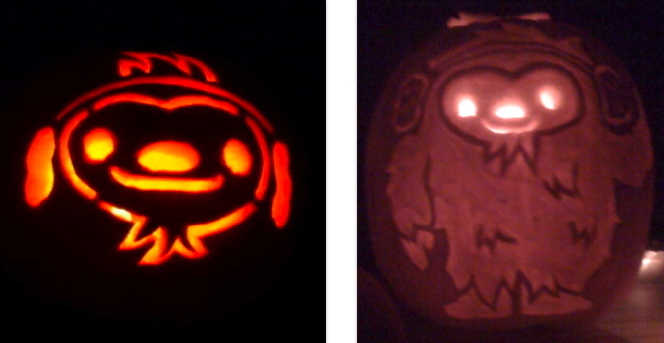 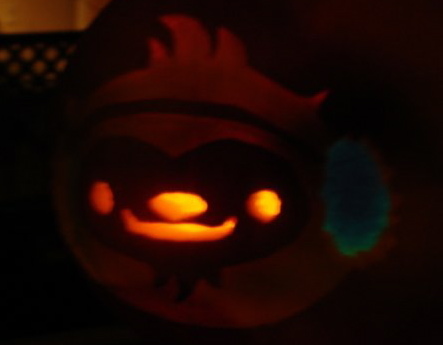 Beaucoup thanks to Lauren C, who submitted this photo of her awesome jack o’ lantern – check the glowing blue earmuffs! 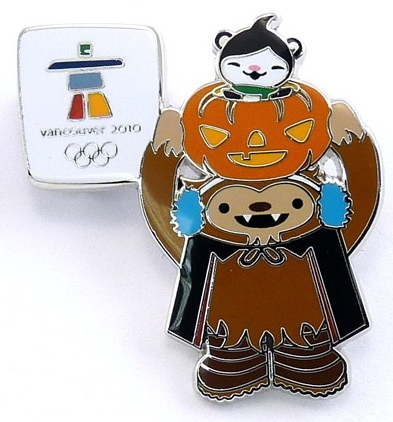 And here’s a sweet collector’s item — a Quatchi and Miga Halloween pin! 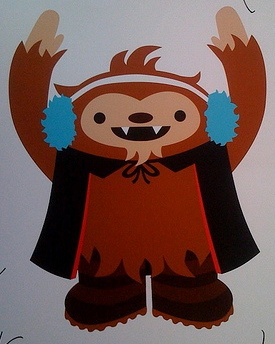 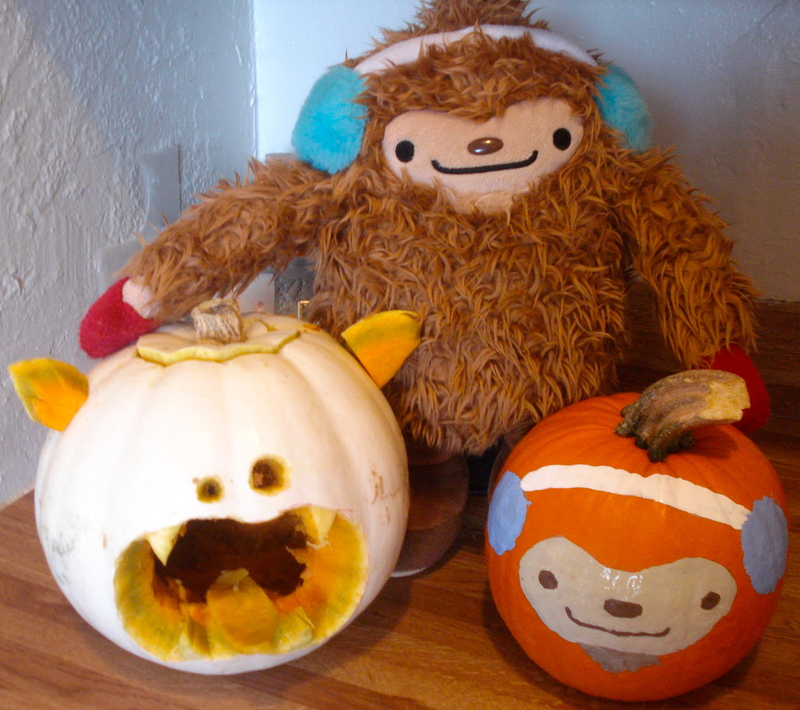 For anyone who missed it last week/month, here’s Quatchi’s Halloween in January. 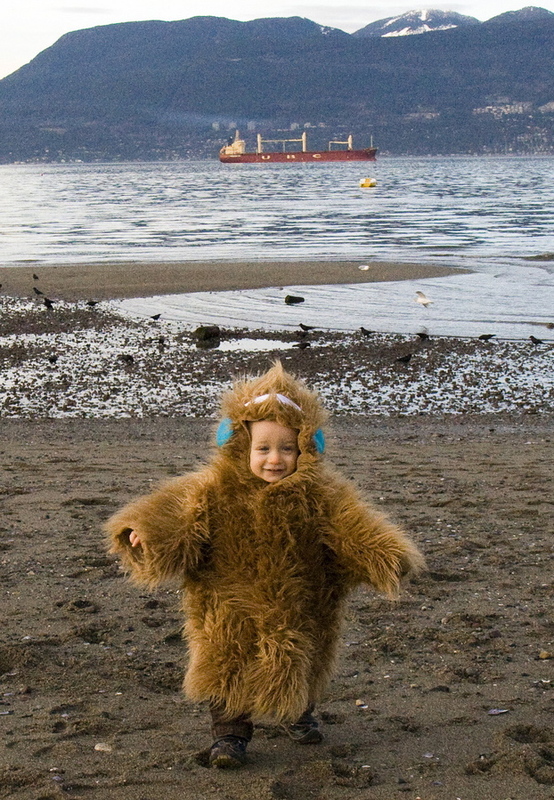 Today is January 31 — three months since Halloween ’09, nine months ’til Halloween ’10 — reason enough to celebrate Quatchi’s impact on the coolest of all holidays!